All chaplains are pastors, though not all pastors are called to be chaplains. Just as medical doctors require graduate school and licensing before they can practice medicine, pastors require professional training and credentialing. To become a specialist in any medical field requires advanced professional training, residency and certification. To become a chaplain, pastors must have advanced training, pastoral experience verified by current credentials and ecclesiastical endorsement. Campus – Adventist and public colleges and universities – For endorsement information, click here. 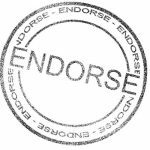 Community – Law enforcement agencies, disaster response, fire departments, government legislatures, Search and Rescue – For endorsement information, click here. Corrections – Federal, state, and local prisons – For endorsement information, click here. Health Care – Hospital, hospice, assisted living and nursing homes, U.S. Department of Veterans Affairs (VA) – For endorsement information, click here. Military (Active Duty and Reserve Components)—Bermuda Regiment, Canadian Forces, U.S. Armed Forces, U.S. Coast Guard, Civil Air Patrol (CAP), any state militia – For endorsement information, click here. Work place institutions or organizations—Airports, businesses, cruise lines, industrial, and sports organizations, etc. – For endorsement information, click here.